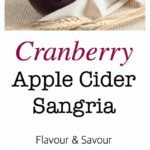 Celebrate the season with this simple Cranberry Apple Cider Sangria flavoured with fresh cranberries and apples. This one is a crowd-pleaser for any season! 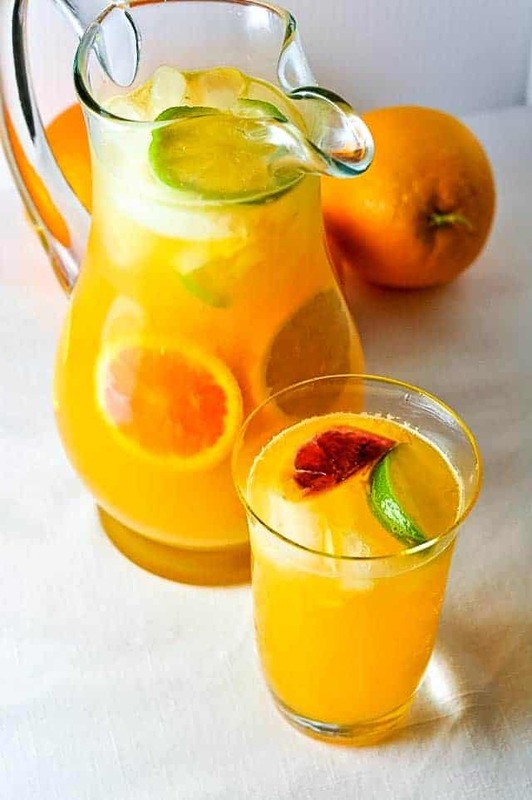 Any Spaniard will tell you that Sangria is not just a summertime drink. 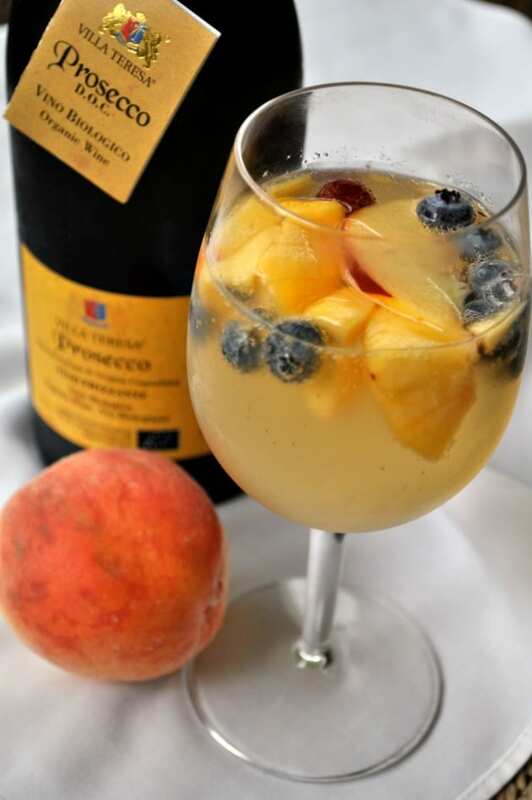 Adding seasonal fruit to a red or white wine is an ideal way to celebrate in the fall and winter months too! 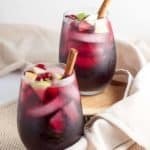 This Cranberry Apple Cider Sangria tops my list of favourite ways to celebrate the season. This simple-to-make Cranberry Apple Cider Sangria is not too sweet, but not too tart, once you add a little honey or some simple syrup. I used pure, unfiltered cranberry juice and apple cider with no added sweeteners or preservatives, produced right here in British Columbia. Apple cider can be “hard” or “soft.” Hard cider is a fermented, alcoholic drink, but soft cider, (also called fresh cider), is unfiltered and non-alcoholic. It differs from apple juice in that it has not been filtered to remove coarse particles, so it appears a little cloudy. It is naturally sweet, but often has more of a tang than apple juice that has been filtered. It’s perfect when combined with cranberry juice in this sangria. 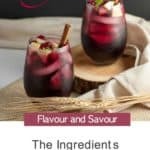 If you’ve been a reader of mine for awhile, you probably already know that sangria is my favourite drink! I sampled it in almost every tapa bar we visited during our recent trip to Spain, and NEVER tired of it! I had my most memorable glass (oh, so good!) when we were savouring Seville, and I’ve done my best to create different sangria recipes ever since. the base can be made ahead of time. Just add sparkling water when you’re ready to serve. adding fruits in season, like apples and cranberries makes it festive! 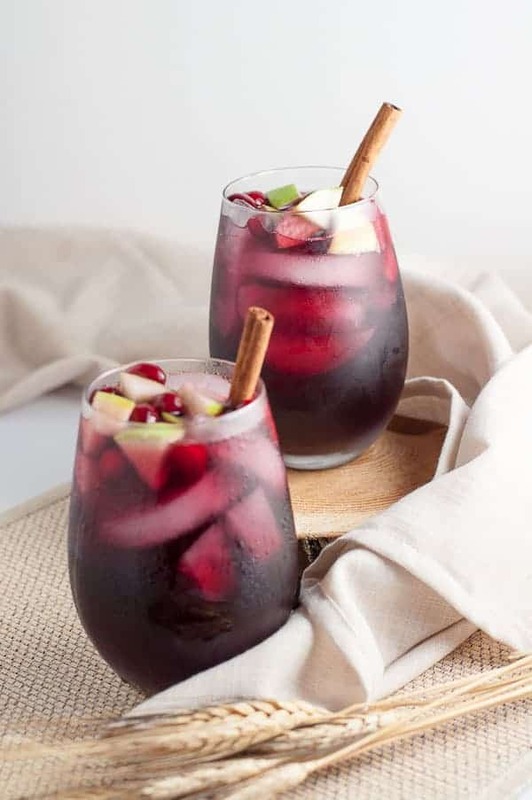 A simple recipe for Cranberry Apple Cider Sangria, made with red wine, orange liqueur, fresh cranberry juice and soft cider. Perfect for fall and winter parties. Combine red wine, apple cider (or pure apple juice) cranberry juice, orange liqueur and honey (or simple syrup) in a large pitcher. Add cranberries and diced unpeeled apples. Serve over ice, if desired, filling glasses 3/4 full and topping off with some sparkling water. Garnish with a cinnamon stick and a straw. *If you use honey, it might sink to the bottom of the pitcher if it is left to sit for awhile, so just give it a stir before serving it. 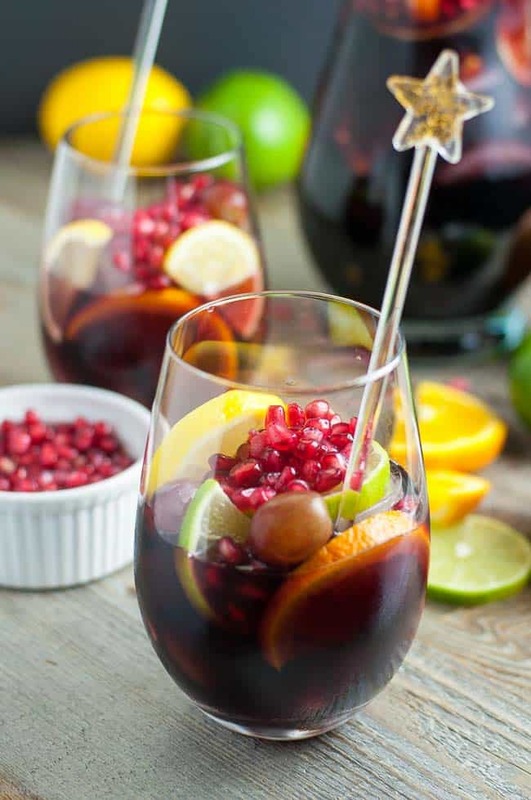 Stemless wine glasses are ideal for Sangria! Red and white stemless wine glasses available on amazon. Celebrate year-round with these other sangria recipes, too! 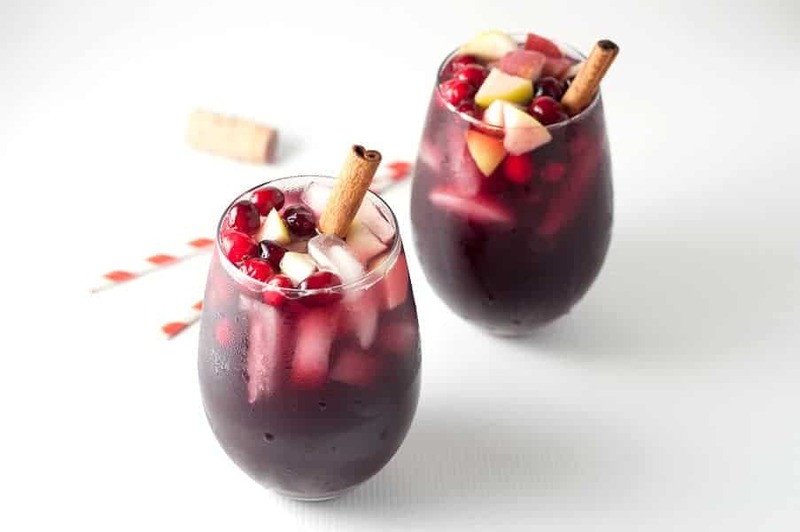 This is the perfect wintery sangria.. love it! What type of red wine should I use? Merlot, Pinot , Cabernet??? It really is a matter of personal preference. I like the deep rich flavour of Merlot. Enjoy! I feel like most sangria should be left to refrigerate overnight. Is that necessary for this recipe? I’m making this for Thanksgiving, can’t wait! Thank you! Hi Erica, I agree! It’s good right away, but even better if the flavours have a chance to mellow. Happy Thanksgiving! Elaine, this looks amazing! 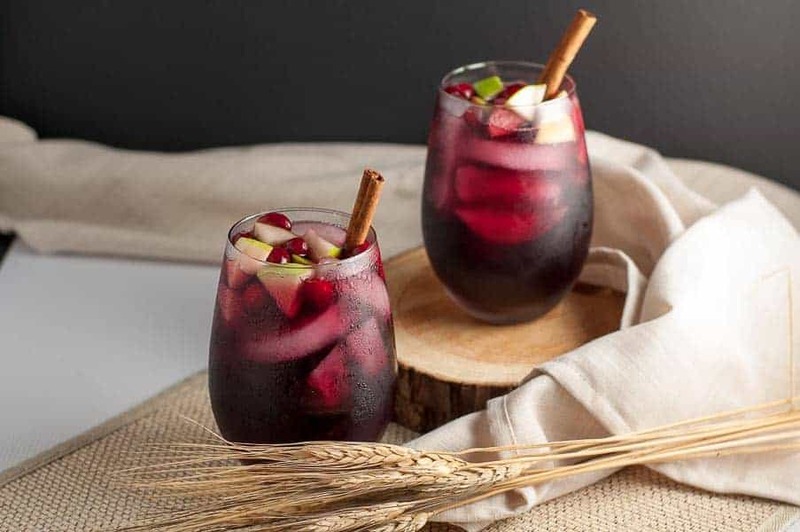 What a perfect sangria recipe for a crisp, sunny fall day. I love the festive flair with the cranberry and cinnamon! I’m very excited to try this. Thanks Kimberley! Perfect way to relax after a hike in the mountains . . . or near a gorgeous mountain lake! Hope you’re enjoying your new home. Oh how I miss red wine, but allergies keep me away 🙁 Your sangria looks beautiful and I bet it’s tasty! Oh, that’s sad! No red wine! Thanks for your kind comment! This looks so good! I am going to try and make home made apple cider this year( maybe even some vinegar) so I can’t wait to try this! Good luck! Let us all know how the apple cider making goes! Gorgeous drink, and I love the flavours you’ve put together here. I adore cranberries, and I think they deserve a bigger place in both food and drink! Nice work Elaine! I agree! Cranberries are so nutritious and they add interest and flavour to any recipe. Thanks for your comment! It works for me! 🙂 Thanks for stopping by! Do I need to add sparkling water at the end? I wanted to have the glasses ready when guests arrive. Yes, I would add the sparkling water just before serving, otherwise it might go flat.Enjoy!I would add the sparkling water just before serving, otherwise it might go flat. Enjoy! Yes, I’ve done that several times before. The fruit soaks up all that great flavour. Just be sure to add the sparkling water just before serving so it doesn’t go flat. Enjoy! What type of red wine do you suggest? It just depends on your tastes. Personally, I like a deep rich Merlot. It doesn’t have to be an expensive bottle, either! Enjoy! We made a drink similar to this one, but the cranberry is a great added touch! I’ll have to add that next time I make this sangria! Wow! Double whammy! While I’m a champagne fan, I’m not sure how it would taste if you mixed champagne with red wine! It might just make it a little sweeter. If you try it, let me know how it turns out! It’s great either way, but letting it sit overnight in the refrigerator gives the flavours a chance to blend. Just make sure to add the sparkling water just before serving. Enjoy it! Making this tonight! Looks so yummy! I forgot the sparkling water though. I have orange sparkling water…do you think that would be good with this since we’re using orange liquor anyways? Thanks for posting! It would probably be just fine! Try a little first to see if you like it! Thanks for commenting. 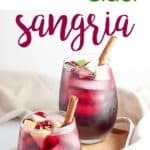 My love for sangria runs deep and this one sounds delicious. We were searching for something to make for the holidays and this one is high on our list. Thanks for sharing. My love for Sangria runs equally as deep! It’s great in any season, as far as I’m concerned. I know you’ll love this one. Thanks for commenting! 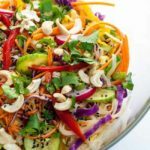 I’m making this for a New Years party; how much sparkling water should go into this recipe? Are we talking a splash in each glass or more? Hi! Yes, that’s right–a fairly generous splash so the drink has enough fizz. I usually put in about 1/4 cup or so. Happy New Year! So yummy! 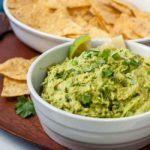 Super easy to make and everyone loved them. I just need to find longer cinnamon sticks. My short ones kept sinking to the bottom on the stemless wine glass. 😊But still tasted great. Definitely need to make the base the day before to let the flavors mingle and get nice and cold. I used an inexpensive Merlot. I added the fruit in the morning. Will make again and again. Isn’t it good??? And yes, you’re right, if you have time it’s best to make the base the day before, although I have been known to make it and drink it right away! Thanks for commenting! 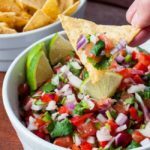 Can this recipe be made without alcohol? What would I substitute if so? Hi Alyssa, You could make a punch using cranberry juice, soft apple cider and either ginger ale or sparkling water. If you use pure unsweetened cranberry juice you would probably want to add some sugar syrup. Hope this helps! Hello! I noticed the previous comment about substituting champagne and wonder have you tried it / heard back? Also can you sub the soft cider for hard? Thanks! Hi Christian, I haven’t heard back about subbing champagne for the sparkling water–it may make it a little sweet. Also if you substitute hard cider for soft cider, you would be adding 4 kinds of alcohol–red wine, Triple Sec, hard cider and champagne :)! It would then be more of a cocktail than sangria! I’m not super familiar with fresh cranberries. Do you just add them straight from the bag (rinsed), or do you boil them to soften and pop first? I’m very excited to serve this for Thanksgiving! Sounds absolutely perfect. Thanks for the recipe! Fresh from tbe bag, Kate. Happy Thanksgiving! What about dried cranberries?! I can only find a huge bag of freshvcranberries at my grocery store and I don’t want that many. I haven’t tried that but it might be just fine to use dried ones. Although, if you buy a big bag of fresh cranberries, you can always freeze them for other recipes later on. Enjoy, and happy Thanksgiving! I am planning to make this for my very large family on Thanksgiving so would it taste ok without the sparkling water, since I am planning to make it in a large spouted drink dispenser? If not, I’ll set the sparkling water out on the side for everyone to add on their own! Also, how strongly does the cinnamon flavor come through? That sounds like such a fun way to serve it! I think your idea of setting out the sparkling water on the side is a good one. That way everyone can add as much or as little as they like. The cinnamon is not strong at all. The cinnamon sticks are mainly just for a garnish or a little stir stick. Wishing you and your family a very happy Thanksgiving! My go to holiday sangria from now on. Isn’t it good? Love this one–so glad you do too! I can’t find cranberries here, can I leave them out? I have everything else. Sure! You could add more apples or even a winter pear. Enjoy! Should I use pure unsweetened cranberry juice? Or just any like ocean spray unsweetened cranberry juice? Hi Kayla, I used a locally produced organic cranberry juice, but unsweetened Ocean Spray will work beautifully too. If you use a sweetened cranberry juice, decrease the amount of honey in this recipe. Cheers! Thanks for sharing! Can I make the concentrate ahead of time? Absolutely, Vanessa. Store it in the fridge and you’ll be ready to go! Hi . Excited to make this . What is meant by making just the concentrate the night before? Thanks for your question. You can mix up the juices, alcohol and wine the day before, refrigerate it, then just add the sparkling water and the fruit before serving. Enjoy every sip! Thanks for letting me know Yasmine! Fixed now. Cheers! I don’t see the recipe anymore. I’ve made this before and loved it. Is anyone else having a problem? Apologies! There was a glitch but I have fixed it and the recipe is there now. Cheers! This was so delicious. Everyone really enjoyed the sangria. That’s good to hear! Thanks for letting me know. I love this one, too! It’s best if made the day before you plan to serve it. Just don’t add the sparkling water until serving time. Enjoy! 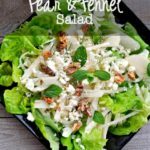 Light, easy, and delicious. Very good!